Many homes these days are small. Big cities such as New York meet their population needs with tiny apartments (and we mean tiny – under 300 square feet, in fact). The tiny house movement has inspired people to minimize the stuff in their lives and settle into low-cost, clutter-free living situations. This trend has led researchers to suspect that, with the high mortgages and living cost in many major cities, that small homes may be here to stay. This may seem obvious, but it really bears repeating: cluttering your space with knickknacks or extra furniture can make it seems smaller. When your space is already small, there’s no space for non-essential items you may not even use. Look for multipurpose furniture pieces that can help eliminate clutter around your space, like an end table that doubles as storage space. Try to keep your space clean with a few special, expressive accessories for a little flair. If you’re going for a French country style at home, for example, a few French home accessories (one or two, tops) can make for nice accent pieces. It’s actually not that difficult to trick your eyes into believing a room is bigger than it is. One way to create this optical illusion is with mirrors and other reflective surfaces. Place these in an area where they can pick up light from outside or from the lighting in your room. The reflections they display will create an illusion of extra space! Most people think that small spaces need small furniture. They fear that large, grandiose sofas or beds will dominate the room, taking up all the available space. In some ways, this is true – your room is only as large as it is, after all – but big furniture actually can make the room appear larger. It’s another optical illusion; if this large bed takes up this whole room, the brain thinks, thank the room must be big, too! As long as you aren’t overloading your rooms with furniture (remember, essentials only), there’s no harm in investing in that California King bed or a large, L-shaped sectional. They’ll be more comfortable, be a better investment for your future should you ever find yourself in a bigger place, and they make your current place seem bigger, too. Full-length drapes. 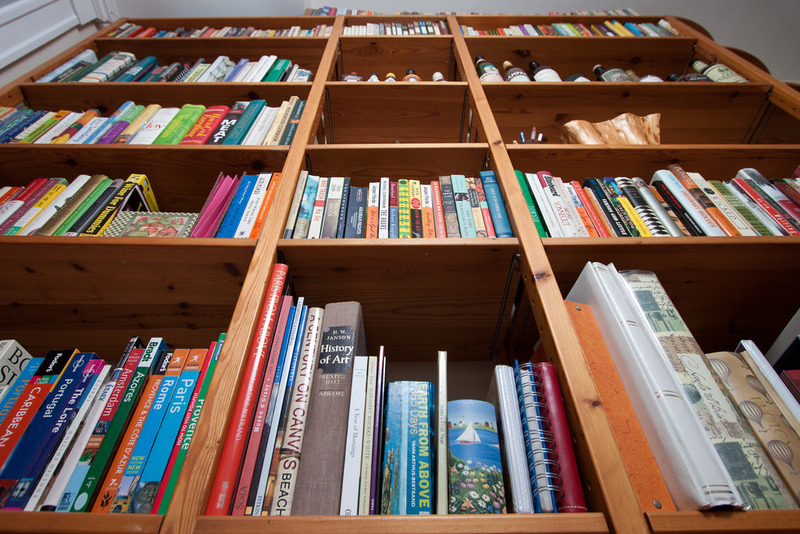 Floor-to-ceiling bookshelves. Beautiful, portrait-style paintings. These are just some of the way you can use the vertical space in your home and make your rooms seem bigger. 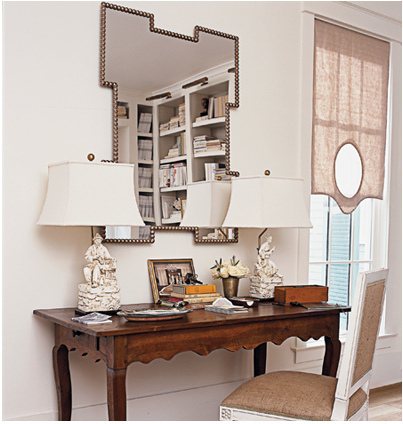 If you place more emphasis on vertical elements, the more the eye is drawn upward. This gives the impression of higher ceilings and a more spacious room altogether. Don’t be afraid to look up when you decorate! Darkness makes a room seem smaller, so it’s only natural that the opposite – light – expands the look of a room. Make sure your rooms are well lit and open (you want those mirrors to catch the light, remember). 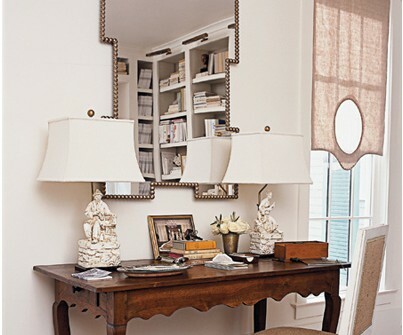 Certain styles, like the chandeliers and ornate French country style lighting, are especially suited to creating space in a small room, but you can look for any style that works with your personal taste. Once you’ve mastered these tricks, you’ll never feel crowded in your small space again. So what are you waiting for? Get out there and decorate! How Are New Homes Better Than Older Homes? Why Students Must take NMAT? Is there any loophole in GST? Copyright 2019 | Joan B.